Blister packing is very regular for this item. Please ask for a testing copy by email if you want. 1, Are you the manufacturer? We are the manufacturer of all kind of reflectors since 2004. we have ISO 9001, BSCI audit. 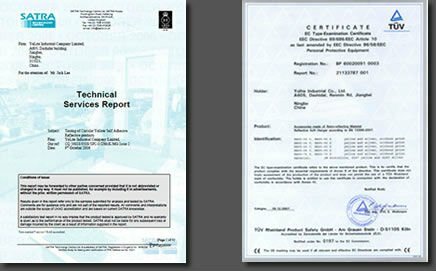 and our products are certificated with CE EN13356, EN1150 and EN ISO 20471. the electric products are certificated with CE ROHS, REACH etc. 2, What service you can offer? We can offer free design/artwork from your ideas. and free samples making. also we can help the clients to source other products in China with our strong sales team. 3, What is CE EN13356? This European Standard relates to products primarily intended to be worn or carried by individuals to make them more conspicuous to other road users under low light levels. The products rely upon retro-reflection for their performance. The products can be regarded as aids to conspicuity that perform best in circumstances of very low ambient lighting. On lit urban roads, products conforming to EN471 or EN1150 are necessary to provide conspicuity. In any circumstance in which the failure of a vehicle driver to become aware of another road user could result in the serious injury or death of that road user, only high conspicuity garments can be recommended for use. this European Standard provides a solution that enables the major issues to be resolves. 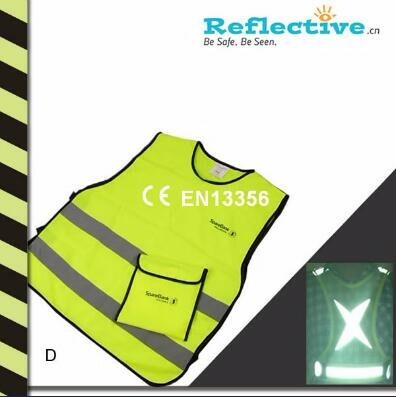 The performance of the conspicuous materials to be used in "high visibility clothing" is specified together with minimum areas and placement of the materils. Conspicuity is enhanced by high contrast between the clothing and the ambient background against which it is seen; and by larger areas of the conspicuous materils specified. 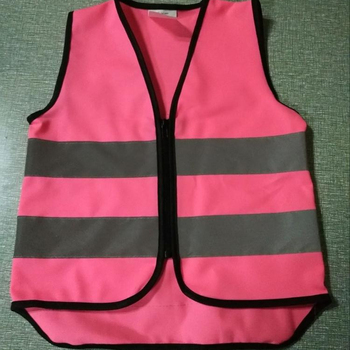 This European Standard provides details on the performance of high visibility warning clothing for non-professional use together with minimum areas and placement of material to achieve enhanced conspicuity against most background conditions found in urban and rural situations both day and night. The area of material is dependant on the size of the wearer and conspicuity is enhanced by high contrast between the garment and the ambient background. This Standard is not intended to comply with the requirements of clothing used by professionals, attention should be drawn to EN471 “High visibility warning clothing”, which specifies characteristics and properties for high-visibility warning clothing intended for the work-area. That is for professional use. 6, How much are the shipping costs? Considering the weight and volume are small for our small reflectors, we would like to advise the client to ship the goods by express. this because if you send the goods by sea or air, the custom clearing cost with freight cost are more than the freight cost by express already. we have good price from TNT,FEDEX,UPS etc. Shipping cost is charged by the package's weight and related to the shipping methods you choose and your destination. Yes, we can offer free samples if the value of the item is not big. If you want to get a sample with customized design/printing, the setup charge including tooling cost, printing film cost will be needed. mostly we can refund the sample cost if ordering.